If wondering through pine forests, around alpine lakes and breathing the thin air at ten thousand feet is what you crave then Boulder Mountain will provide many days enjoyment. Boulder Mountain is a broad, flat topped plateau rising out of the surrounding red rock desert. The top of the mountain is mostly wide open alpine meadows with a few scattered aspen groves. Dozens of small lakes dot the top of the mountain including Blind Lake, Posey Lake and Cyclone Lake, just to mention a few. 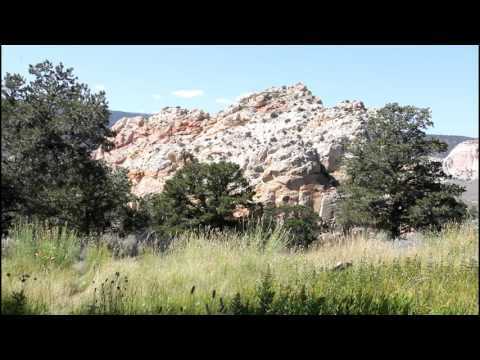 Brown’s Point and Choke Cherry Point offer splendid views of Capitol Reef and the Henry Mountains to the east. This area is only accessible from late spring to autumn. 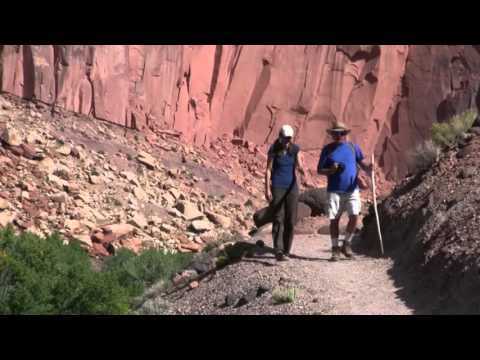 Capitol Reef National Park is a day hiker’s paradise. 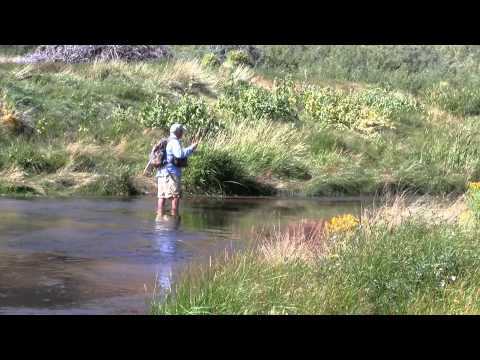 Most trails are relatively short and well developed offering incredible scenery. 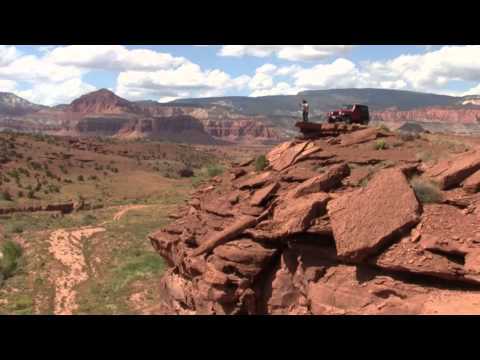 Some trails can be strenuous due to the rugged landscape. Capitol Gorge is an easy walk along the bottom of a narrow, dry wash with towering walls. The Golden Throne trail climbs from the canyon bottom to the base of the Golden Throne offering panoramic views. The Hickman Bridge trail is a short nature walk that leads to a large natural bridge. Many others trails in the park offer similar experiences. 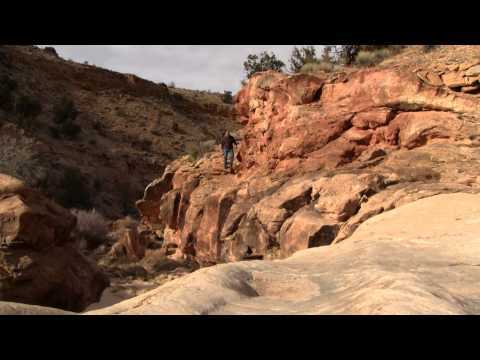 Both the San Rafael Swell and the Robber’s Roost area offer world class slot canyon hiking and canyoneering. Little Wild Horse Canyon, just seven miles from Goblin Valley State Park in the southern part of the San Rafael Swell is a classic slot canyon experience for the novice hiker. This hike is not difficult, yet it is considered one of the best slots in the world. For the more adventurous soul the Muddy Creek carves its way through the San Rafael Swell offering two to three days of wading down a slow moving stream amid towering walls only a few meters apart. The Robber’s Roost area is home to a few of the best technical slot canyons on the Colorado Plateau including Maidenwater Canyon, North Fork of Robber’s Roost and Sandthrax Canyon. These canyons are only for experienced canyoneers with the appropriate equipment and experience. Fuel, dining and lodging can be found in any of the larger towns including Loa, Torrey, and Hanksville. 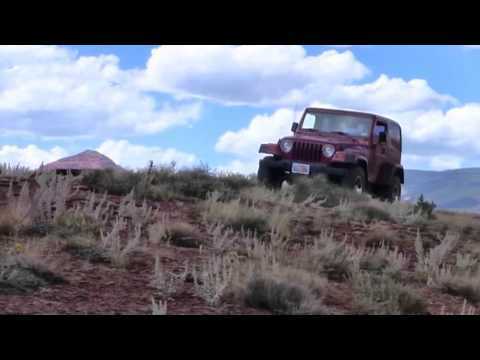 Outfitters operate out of the towns of Torrey and Hanksville. View Hiking Trails / Maps – Here!